Mindfulness is making headlines worldwide. The University of Fraser Valley is making history by offering the first for-credit, graduate program in Mindfulness-Based Teaching and Learning (MBTL) in Canada and one of the first in North America. “Ours is one of the first graduate mindfulness programs in North America. As a for-credit program that links research to practice, it can be integrated within graduate and professional degree programs,” says Dr. Seonaigh MacPherson, coordinator of the MBTL graduate certificate program and associate professor and head of Adult Education at UFV. Mindfulness is present-moment awareness free of judgment. Mounting scientific research has demonstrated that mindfulness programs improve wellbeing, mental health, and lifelong learning. Practising mindfulness reduces negative thoughts and rumination, lessens stress, improves morale, increases memory and attention, and helps your immune system. “According to the American Mindfulness Research Association, scientific studies of mindfulness have increased from 10 in 2000 to 700 in 2019. What we need now are training programs like UFV’s Mindfulness-Based Teaching and Learning grad certificate to prepare qualified and well-informed mindfulness practitioners to design, teach, and promote evidence-based mindfulness programs. Currently, the training is ad hoc and in no way ensures that trainers are abreast of this rapidly changing evidence base,” said Dr. MacPherson. UFV’s four-course, 10-month, part-time program begins in September 2019. It is designed to transfer readily into a range of career pathways, including the MEd program at the University of Calgary’s Werklund School of Education and many other professional graduate degree programs. The Mindfulness-Based Teaching and Learning program is ideal for busy professionals working in a wide range of professions and fields, such as health care, education, social work, policing, coaching, yoga teaching, and corrections, MacPherson notes. Most of the program is taught online. 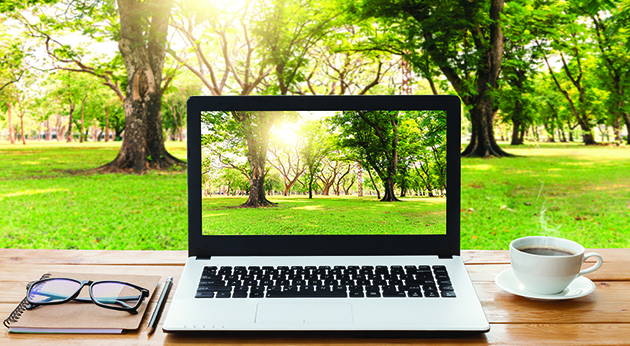 Distance learners can take advantage of UFV’s cutting-edge video technology to participate remotely with local learners in the intermittent face-to-face classes. Yuval Noah Harari, bestselling author of Sapiens and 21 Lessons for the 21st Century, says life in the 21st century requires mindfulness. For info contact seonaigh.macpherson@ufv.ca or call 604-864-4621.